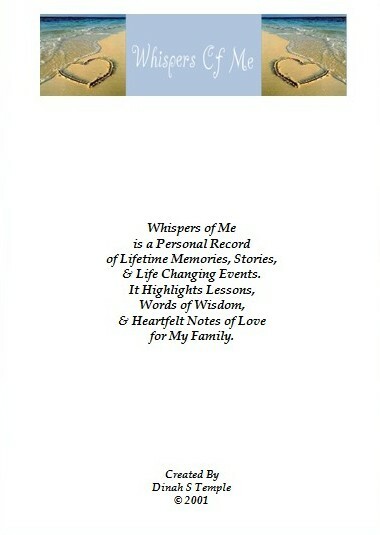 Whispers of Me.com/ebook-download – Tell Your Life Story with Voice Recordings, Photos, & Video. featuring over 100 questions about you! This is your keepsake to pass down for generations. and how we feel about all things that matter to us. of hope, love, wisdom and memories. E-mail of All Audio Albums for Sharing with Family! E-Book Fill-In-The-Blank Journal with Over 100 Questions About You. "LIKE" our page and share the link.